This makes a wonderful batter. We have tried the batter with Onion Rings, and Mushrooms. It quickly has become a favorite batter of ours. 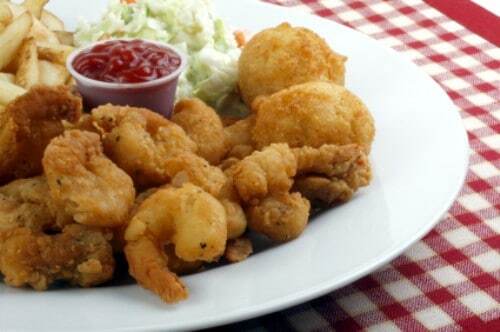 All of us can't get to the Grand Central Oyster Bar, but you can make their Beer Battered Shrimp at home. Peel and devein shrimp, be sure to leave their tails on. Separate eggs and set whites aside for later use. Whisk egg yolks, beer, 1 tablespoon corn oil, and soy sauce in a bowl. Blend well until smooth. Beat egg whites until stiff and fold into batter. 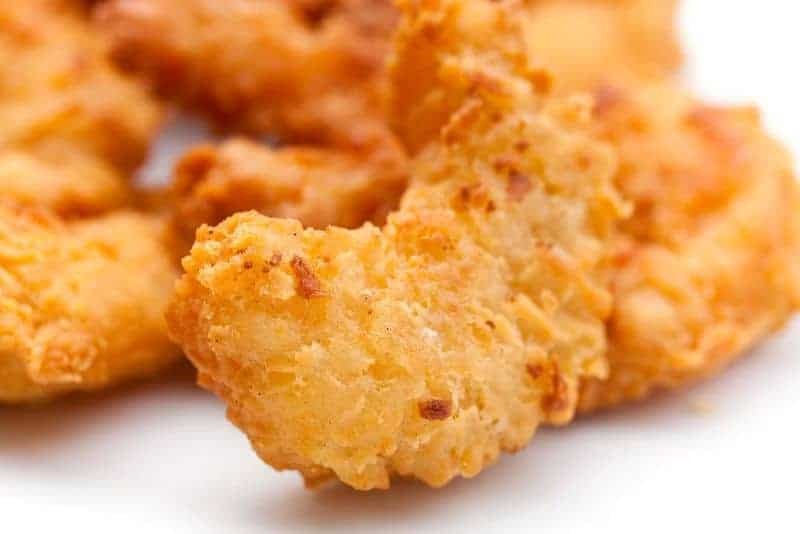 Hold shrimp by their tails and dip into flour and then into the egg batter, coating well. Heat oil for frying make sure it is 375 degrees, you can use a heavy deep skillet, or a Dutch oven. Fry shrimp a few at a time, until golden brown, about 3 or 4 minutes. DO NOT OVERCOOK !! Drain on paper towels. Serve hot and with your favorite tarter sauce or cocktail sauce. I used this recipe for our family reunion. Everyone loved it! They all requested the recipe!